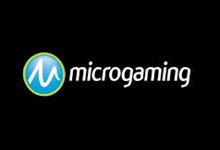 Microgaming is consistently proving that as a software developer they remain number one and have done so for two decades. The month of December is going to be no different as six new video slots have been teased by the developer. These new games include Happy Holidays, Lucky Twins, Bikini Party, Serenity, Peek a Boo and Dragon Dance. Each one of these slots will surely provide a riveting gambling experience for all. Happy Holidays is the first slot slated to be released. It’s being designed with 5 reels and 243 paylines, the Christmas theme will be evident the moment that this slot is loaded. Santa Claus, Turkeys, Stockings, Christmas Tree’s, Snowman, Presents and more all make an appearance on the reels. There’ll also be wilds, scatters, free spins and more available to be triggered as game features. Serenity is the next slot up for grabs in December. It’s been developed as a 5 reel, 15 payline slot that is resembles an Asian Garden on the bank of a river. There is a maximum payout of $120,000 and there are multiple features to be triggered. Happy Holidays is the only true new slot coming in the month of December. It’s making its way to desktop and mobile platforms. All other slots available to be played include Bikini Party, Lucky Twins, peek a Boo and Dragon Dance are desktop slots making their way to Microgaming’s mobile platform for the first time. This will surely excite all mobile punters whom enjoy the Microgaming platform. Just wait until later on this month to experience them fully.